At the base of every government project is a team of state and corporate partners working together to get the job done. 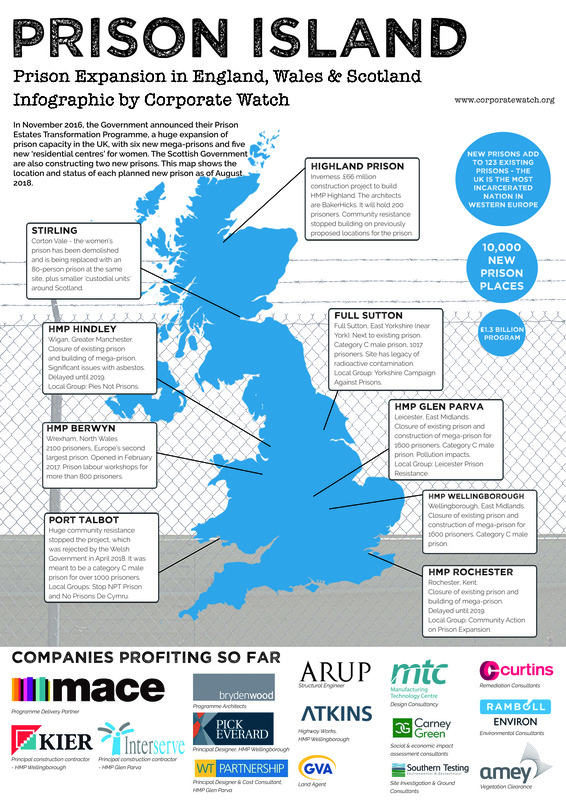 Our research has identified some of the key people and companies involved in this latest prison building programme. Each prison also has its own team of contractors. The Ministry of Justice Prison Estate Team. Team led by Anna Evans, programme director. Architects: Bryden Wood. Team led by Jaimie Johnston, ‘baseline design director’. Delivery Partner: Mace, giant construction company (see profile below). Team led by Stephen Wells, programme director. Cost management consultants: WT Partners. Design consultancy: Manufacturing Technology Centre (MTC).